Burckhardt Compression offers high quality make-up and recycle compressor systems, designed in full compliance with API 618 standards. Our compressor portfolio stands for state-of-the-art technology and engineering, in order to reduce overall operating costs. In addition, the unequaled high availability leads to a significant improvement of mean time between overhauls (MTBO) and minimizes the risk of unplanned shutdowns. The highest level of in-house expertise on compressor valves, sealing elements and materials and a fleet of five test compressor sets enable us to offer our demanding customers proven innovative valves and sealing elements with longest lifetime. Besides offering highest availability, our compressor solutions are specifically designed for best maintainability. The maintenance-optimized compressor designs provide access to all main wear parts and enable rapid parts repair and replacement, which results in a shorter down-time as well as reduced maintenance costs, by lowering service hours billed as well as spare-parts and logistics costs. 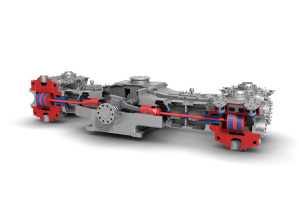 Burckhardt Compression is the first choice service provider for all reciprocating compressors. Our original spare parts backed by Burckhardt Compression’s manufacturing warranties stand for superior quality and ensure both low life cycle costs as well as the optimal operation of compressor systems. A highly motivated team carries out refurbishment projects of any complexity to the full satisfaction of customers and can prolong the operating life of older compressors by retrofitting them with the latest technology. Burckhardt Compression’s highly competent project management team consists of well-experienced project managers, technical experts and specialists for electrical drive systems, instrumentation and control. We focus on best customer value, on-time delivery and installation as well as highest quality of documentation. Burckhardt Compression refinery solution standards are designed to optimize the total costs of the compressor solution installed. The interfacing on-site construction work between the compressor and individual auxiliary components is minimized to reduce on-site installation and testing effort to minimum. Our material experts help to determine the right materials that will provide the most reliable, durable and available compressor solution for your refinery processes. This includes tailor-made solutions and materials for corrosive and contaminated gases, according to NACE requirements. Selecting the optimal material and design expands the lifetime of compressor components and compressor systems.